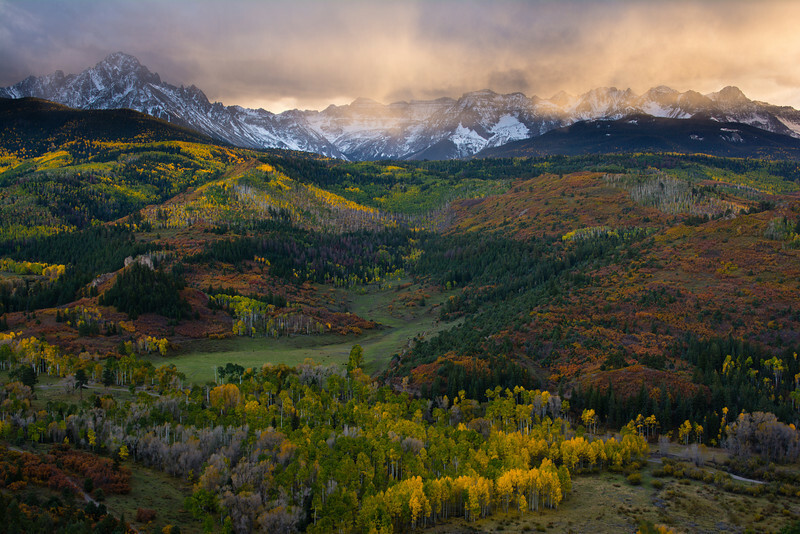 Perched on the edge of a steep valley wall, we watched the beginning of fall snowstorm roll past Mount Sneffels and the San Juan mountains. This is one of the more dramatic scenes that I've been lucky enough to photograph, with the angry sky, changing light, and gusty winds contrasting the pleasant green pastures dotted with grazing cattle and golden aspens in the valley below. We'd wake up the next morning with 5 inches of snow on our tents. Fall in Colorado is amazing!